The Browns fired their head coach Hue Jackson today. Jackson had an abysmal record as the Browns’ head coach, but he actually lasted for more than two seasons before getting canned. That makes him one of the Browns’ longest-tenured head coaches since their return to the NFL — which is pretty pathetic. I watched the Browns game against the Steelers yesterday, and the experience was like getting a tooth drilled without any novocaine while simultaneously receiving a colonoscopy. The Browns’ defense looks like it belongs in the NFL — or could belong in the NFL, if the offense could actually get a first down or two and let the defense get some rest now and then — but the offense is beyond putrid. When the Browns offense was on the field it was horribly overmatched, and a lot of the problem seemed to be the product of a bad scheme that allowed Steelers to rush the quarterback unblocked on virtually every snap. It’s like the Browns weren’t even being coached on the offensive side of the ball. So so long, Hue, and don’t let the door hit you on the way out. I’ve got no high hopes on who the Browns might hire, but the person literally can’t be any worse that Hue Jackson, who won all of three games in two and a half years and “led” the Browns to a winless season last year. I just hope that the front office finds somebody who actually can coach and figure out how to score touchdowns, like every other NFL team does. 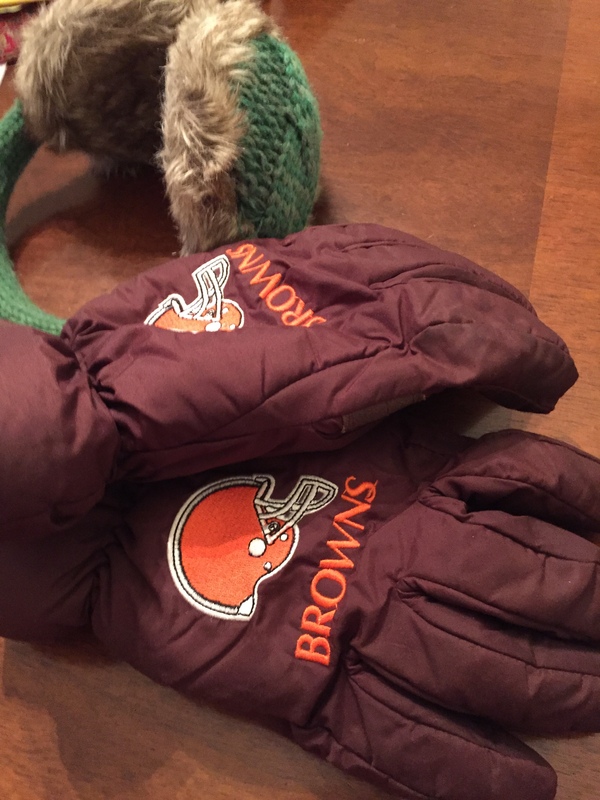 God help me — I think I’m catching Browns Fever! Because the local TV station has chosen to broadcast the Bengals-Steelers game, I’ve gone to a local bar to watch the Browns play the Chargers. That means I’ve changed my schedule and activities specifically to watch the Browns. That means — gulp! — I’ve effectively declared that I’ve once again been sucked in. Oh well! Go Browns! Feel free to crush my spirits again! Russell and I have watched a few episodes of HBO’s Hard Knocks, which promises to be an insider’s look at pro football training camps, coaches, and players. Since this season is features the Cleveland Browns’ training camp, it’s a natural for us. But after watching last night’s episode, I realized that the show is . . . well, boring. The fact that the exhibition game that was featured in the episode was a 5-0 snoozer didn’t help, but, really, watching a “reality” show about professional athletes isn’t any different from watching a reality show about real housewives or the Kardashians or ice-road truckers or any other group or occupation. After a while, you’ve seen everything, and it all seems pretty rote. So assistant coaches in the NFL cuss a blue streak? Is anybody really surprised about that? Or about learning that pro athletes often act like adolescents or macho jerks? Or that head coaches are more like politicians than Xs and Os guys? And the “human interest” stories about guys who might not make the team and their families candidly just aren’t all that interesting. Maybe the Browns are just intrinsically boring, as well as historically inept — or maybe the Hard Knocks concept has run it’s course. Whatever the reason, Hard Knocks is a big ho hum in my book.